This is a technological wonder and a beautiful rendition of its much cheerier animated predecessor. The insertion of a human in director Jon Favreau’s lush and crisp CGI jungle is a riveting juxtaposition, and the technology is presented as a window, not a club. The young actor playing Mowgli (Neel Sethi), the man cub of Rudyard Kipling’s stories, communicates emotional involvement in what must have been a difficult job talking at a green screen. He is not precocious nor is he showy. He’s pitch perfect. Moreover, the voice work of Ben Kingsley, Idris Elba, Christopher Walken, Bill Murray and Lupita Nyongo is nuanced and rich; they convey a children’s story with a seriousness and gravitas that doesn’t demean their audience. The film is also thematically mature. The jungle is a brutal place and the humanization of its denizens does not white out its dangers or its essence. 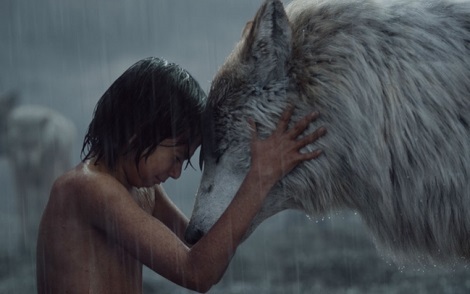 Mowgli is a threat, and his presence is a danger to the animals, but there is also connection and love. For every technological Oscar, you can fill out your ballot now. It’s should also be a shoo-in for a best picture nod.